As you may have noticed by now, I’m using Airbnb a lot when it comes to booking accommodation. I love the fact that you have your own space which usually comes with a kitchen where you can cook your own food and stay in an area where the locals live too. Plus you get more for your money. I’m pleased to say that the place looked exactly as on the pictures. It was extremely cosy and we instantly feel at home. Plus as it was on the top floor (great exercise!!!) we got an amazing view over the river. The kitchen was brand new with everything you need for a nice breakfast or preparing a quick lunch. The bed was extremely comfy and we slept like babies after some long days out. Personally, I also loved the DVD selection as we got to watch movies after we had to go back to the apartment earlier due to a heavy rain shower on our last day. I was also impressed by the attention to detail that has been put into the decoration. I wished I could have taken everything home. 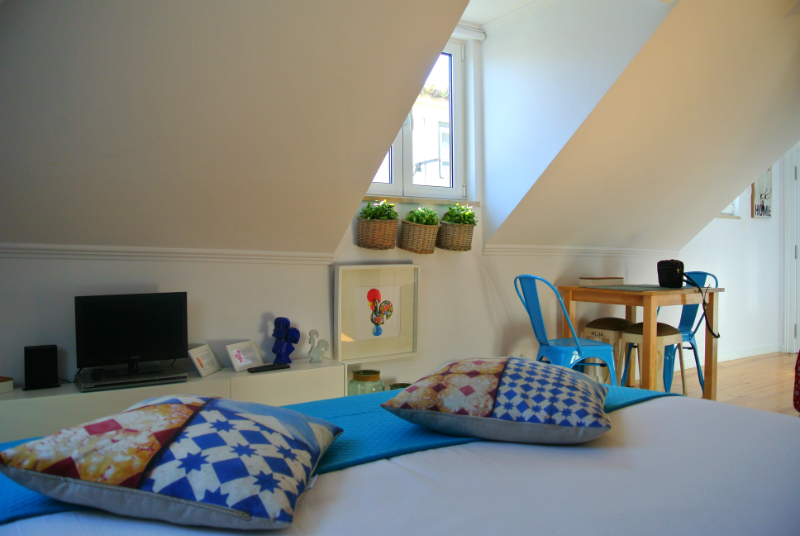 As for the location, the apartment is in the old town of Lisbon ‘Alfama’. It’s just a few minutes walk away from the Santa Apolónia underground station (for lazy days) but it’s also the perfect point to start exploring the old town of Lisbon and it’s just a 10-15 minutes walk to the centre. 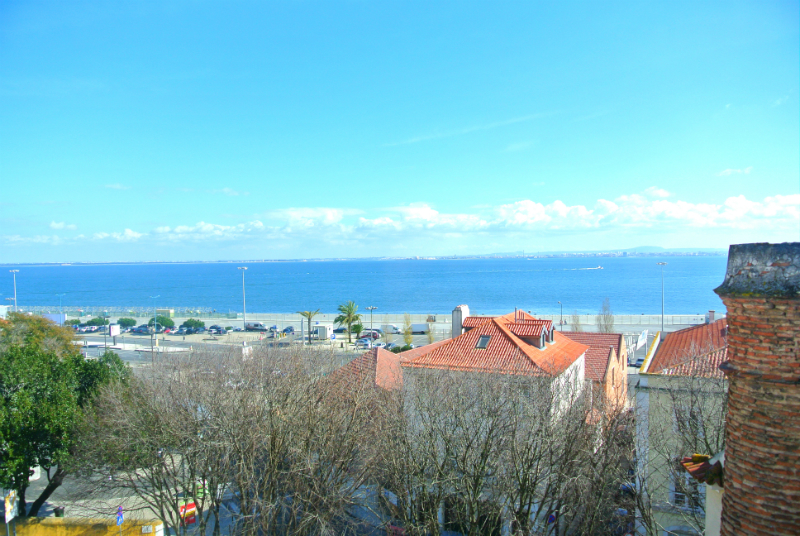 Our host was very nice and she gave us some great recommendations for exploring Lisbon. She left us a folder with lots of helpful tips as well as a map – great experience once again! 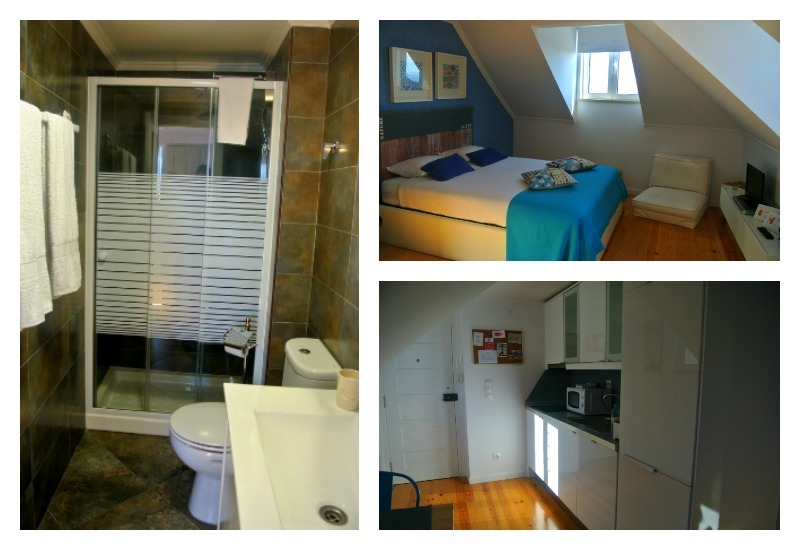 If you’re planning a trip to Lisbon you should definitely check out this cosy apartment on Airbnb because it’s in a great location with many places to eat and drink close by and with everything you need after a long day exploring the city. 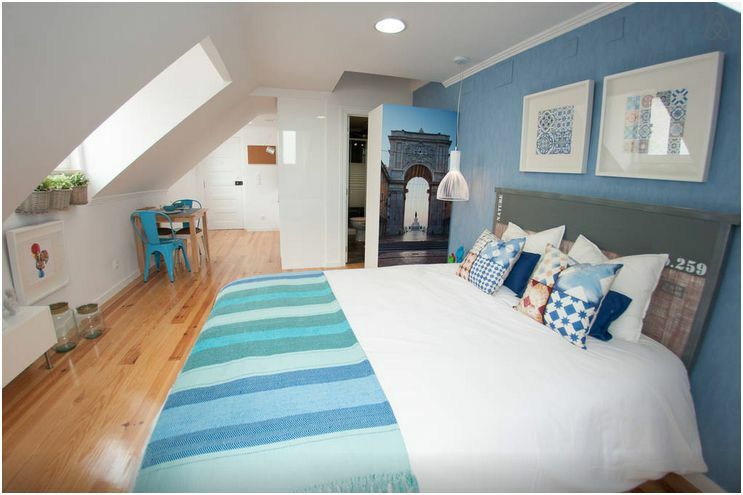 Plus if you haven’t tried Airbnb yet, I can give you a £17/$25 discount on your first booking here. Have you ever tried Airbnb? What is your experience? Note: I wasn’t paid or endorsed in any way to write this review. 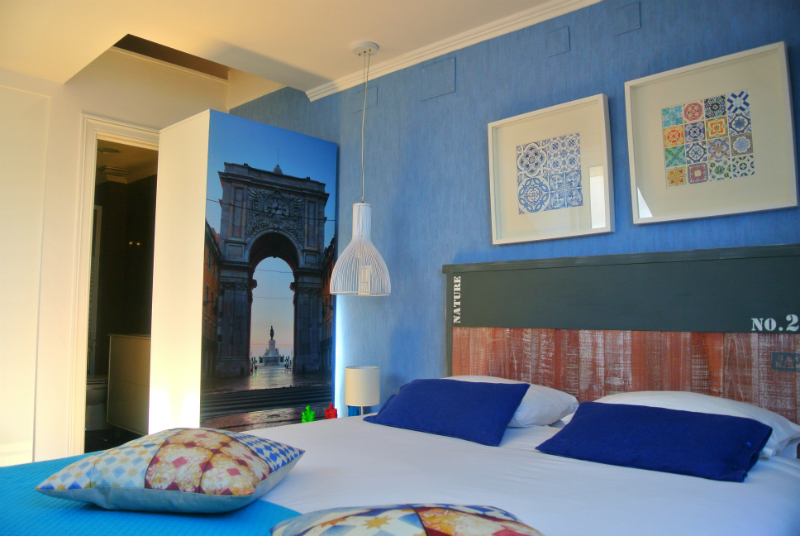 I just really enjoyed our stay in the apartment in Lisbon and wanted to share my experience. Hi, Thanks for sharing this, very nice place to book accommodation.